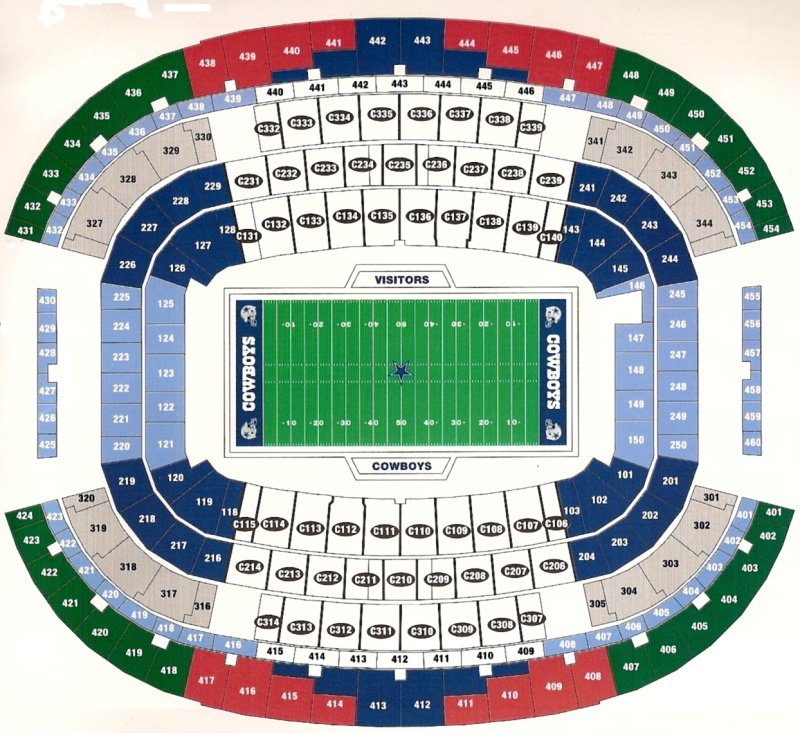 Below is the seating chart for the Dallas Cowboys’ new stadium in Arlington. The new stadium will accommodate 80,000 fans, with the possibility of expansion to 100,000. The stadium is expected to open in 2009 before the opening of the NFL season. Currently, the stadium construction cost is over $1 billion, making it one of the most expensive sports facilities built in the world. Many fans are hoping the stadium will be named after longtime Cowboys head coach Tom Landry. Buy Dallas Cowboys tickets for the 2009 football season. Click link to see ticket prices, 2009 home game schedule and facts about the team. Click here for information on Cowboys Stadium parking. This parking map should help when you are heading out to the stadium for a game or event.